Clapham Falls is a man-made waterfall which sees Clapham Beck drop below a bridge, in separate three tiers, from the lake above into Clapham itself. 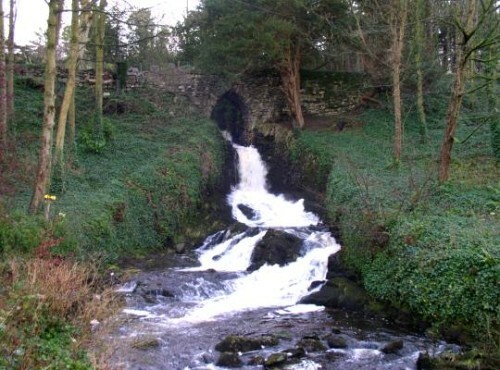 The waterfall was constructed in 1837 by Oliver and James William Farrar as part of the remodelling of the estate of Ingleborough Hall. 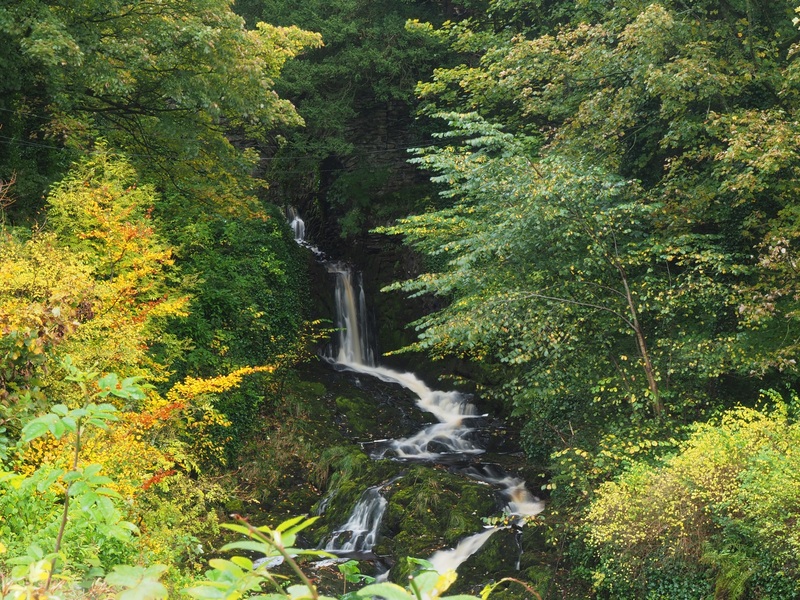 An information board at a viewing point for the waterfall relates the story of another Farrer, a young lad called Bill Farrer, who during the Second World War took a rowing boat out onto the lake in stormy weather. Swept down the waterfall he was lucky to get away with just a broken arm. My first visits to Clapham Falls were in 2004 and 2006, after that it wasn’t until 2015 that I saw it again. In the intervening time the view seems to have become more restricted by intruding vegetation. To get the best view it is probably best to visit this waterfall in the winter or early spring.